Dave Grohl is deadset like the Santa of modern music, except he doesn’t restrict his giving nature to children to one day a year, and his latest awesome deed involved bringing up a blind boy on stage at a Foo Fighters concert. 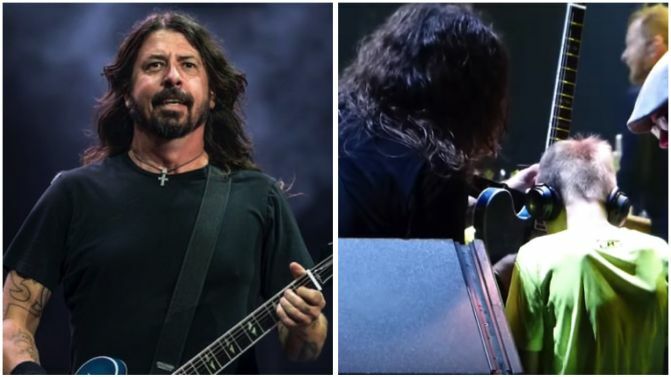 After covering ‘Enter Sandman’ with a 10-year-old Metallica fan on stage last week, Grohl and co. spotted a boy, Owen, in the crowd and brought him on stage. While original reports said that Owen was just tired or exhuasted, Owen’s mother, Stacy, confirmed that he is indeed blind. 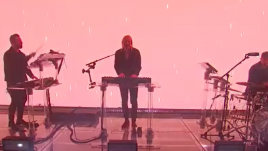 As Consequence Of Sound reports, Owen was invited up on stage and Grohl brought over his guitar for him to touch. He and his family were then allowed to watch the show from side of stage. View some clips of the special moment below.